The event will start and finish at Shap Memorial Hall (NY 564151). The statistics for the event are 34.5 km (21.4 miles) and 1,064 metres (3,490 feet) of ascent. There will be manual time recording, entrants will be provided with waterproof event numbers. From Shap Memorial Hall the route is Wet Sleddale Reservoir, Mosedale Beck, Swindale Head, Old Corpse Road, Mardale Head, western shore of Haweswater Reservoir joining Wainwright’s Coast to Coast to return to Shap. Coffee/tea and biscuits will be offered before the start and refreshments at the two checkpoints (Wet Sleddale Reservoir Car Park and Mardale Head) plus at Burnbanks (please bring a mug if you want water or juice). A hot meal will be provided at the finish back at the hall. We regret that no dogs are allowed. Each participant is expected to have downloaded the route description and to bring it with them on the day in either paper or electronic form. Participants are also required either to carry an appropriate map (OL5 - English Lakes: North-eastern area) or have the route downloaded on a GPS. Car parking will be available at Shap Memorial Hall, Shap CE Primary School, Shap Community Library and the main street. There will be a mass start for the event at 8:00 a.m. It may be advisable to bring a head torch. Personal electronic certificates for Mardale Magic will be issued retrospectively by email. Please note there will be no Mardale Magic badges. Entry Fee: £16 (£12 for LDWA members) - Free for children under 18 accompanied by a parent or legal guardian. Entry on the Day is not permitted. Please see below a route description for the 2018 event. The description is dated 21 August 2018. 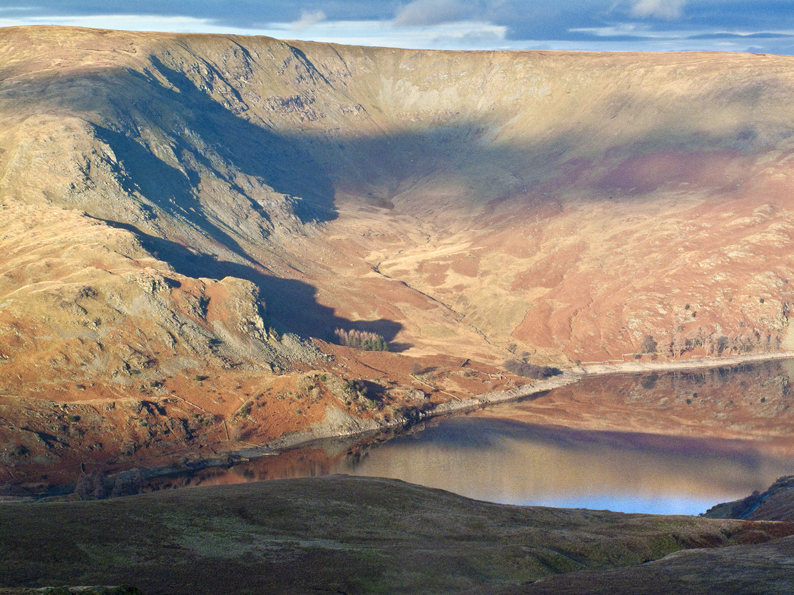 Please see below a .gpx file for Mardale Magic.